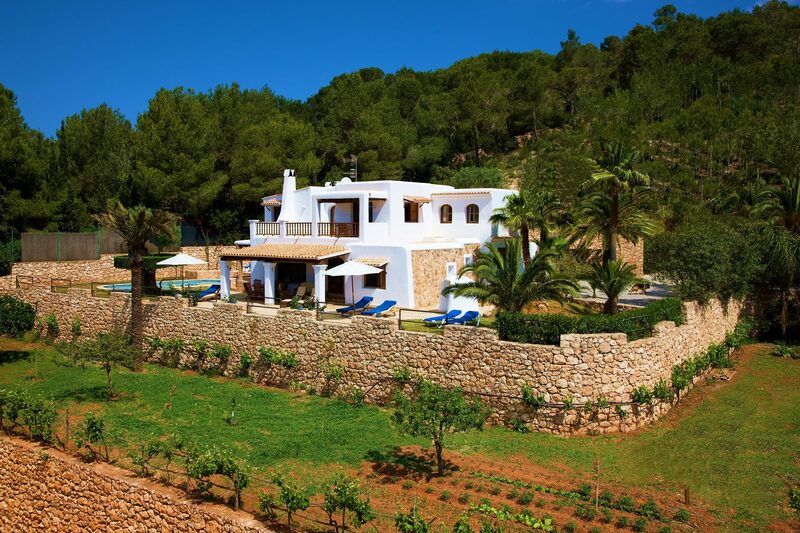 The Villa Can Maderus is a modern villa – built in a traditional Ibizan style. 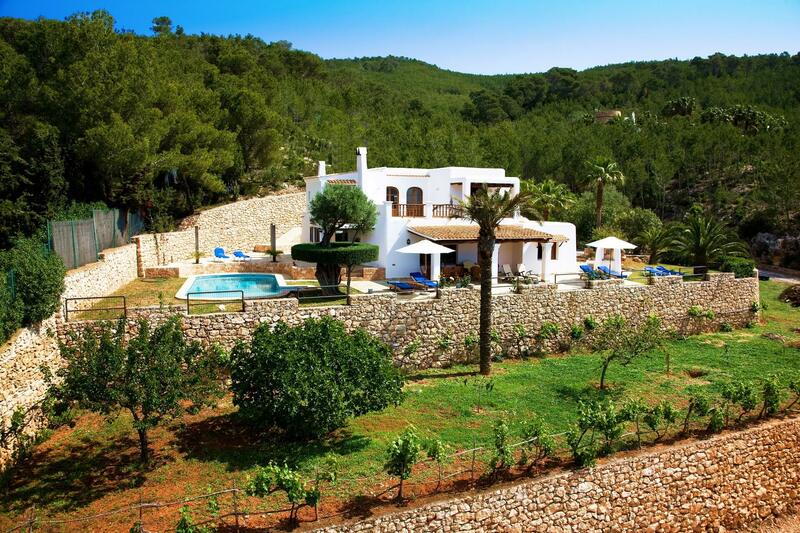 It is located outside of Santa Eulalia on a hill, facing south with views of the sea in the distance. 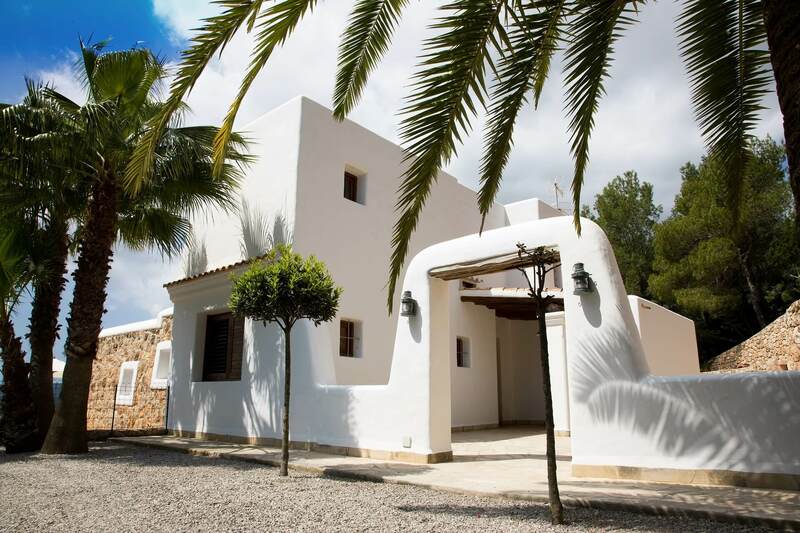 Come in and you will feel arrived in Ibiza at once: a large living room with fireplace, a seating and TV corner and a large dining area await you. Next to it you will find a fully equipped kitchen with an additional dining area and a further access directly from the salon. 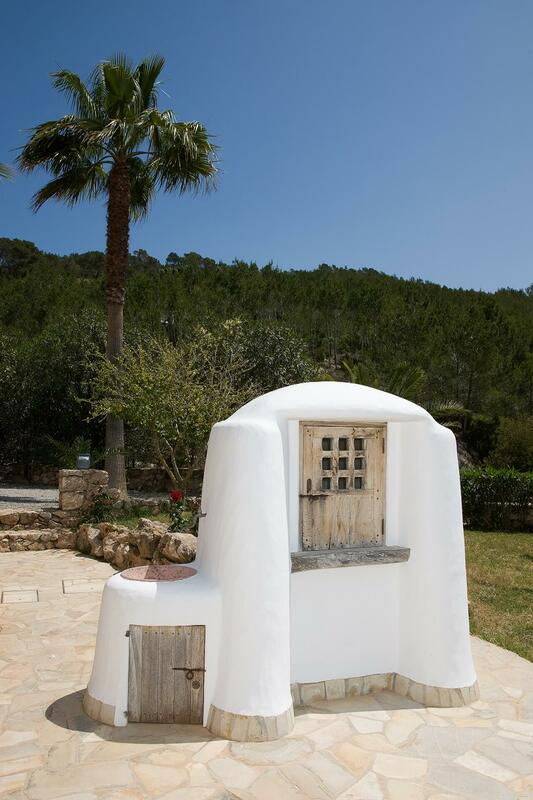 Adjacent to the kitchen is a covered outdoor grill - perfect for the Mediterranean fish and meat preparation. 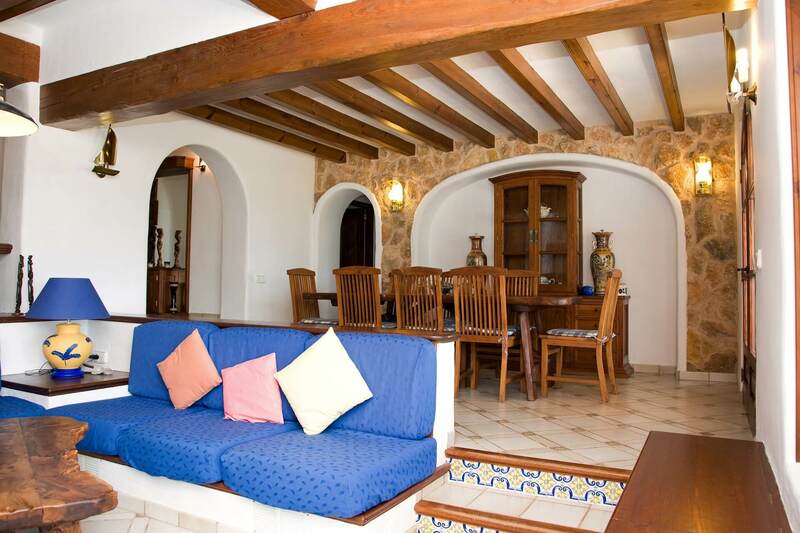 From the living room and also from the kitchen you have access to the large terrace. The partly covered terrace is an excellent location for a delicious meal in the open air and also for sunbathing on one of the numerous relaxing or poolside loungers. 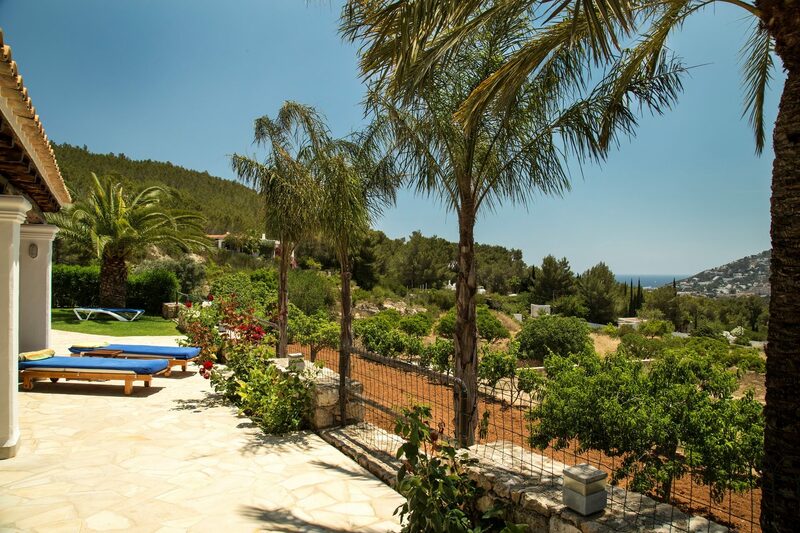 A spacious and perfectly maintained garden with roses, Mediterranean plants and trees surrounds the house. The swimming pool area is fenced and therefore is secure for (small) children. Can Maderus is designed for up to eight people. 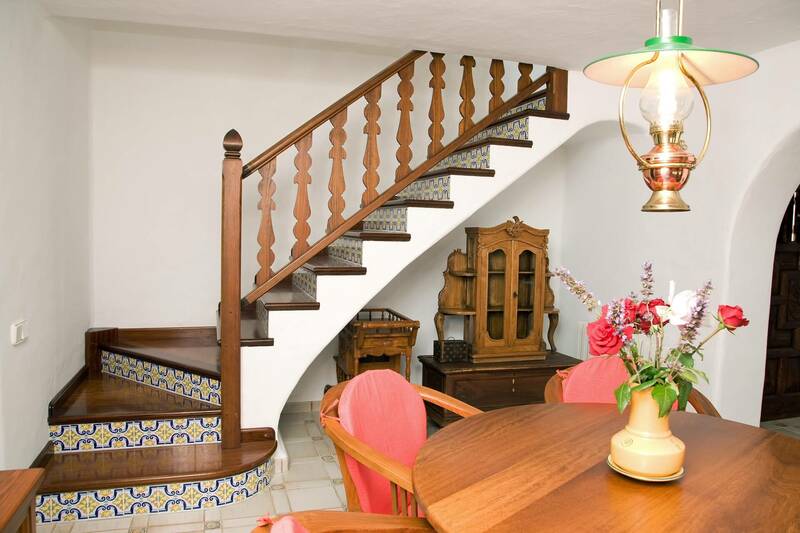 The four bedrooms and bathrooms were built with much attention to detail: real wood flooring, real wood furniture and suitable decoration even coordinating colors – everything for the satisfaction of guests of Can Maderus. Relax from the first minute on each of your vacation days. Are you a larger group or are you planning a wedding party? 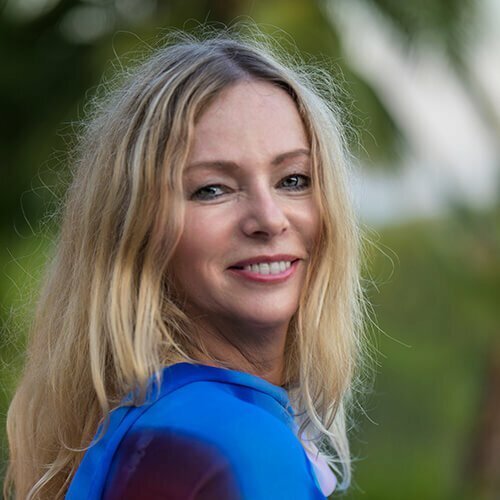 Then it is possible to distribute your family and guests on two villas located on the fully fenced property - Villa Can Maderus and Villa Can Torres. 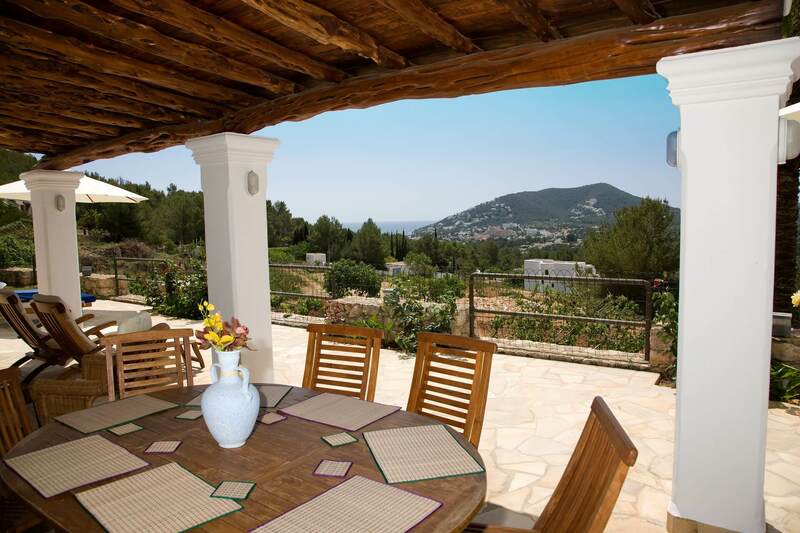 So you as well as your guests or fellow travellers not only enjoy this fantastic location, but also keep your privacy. 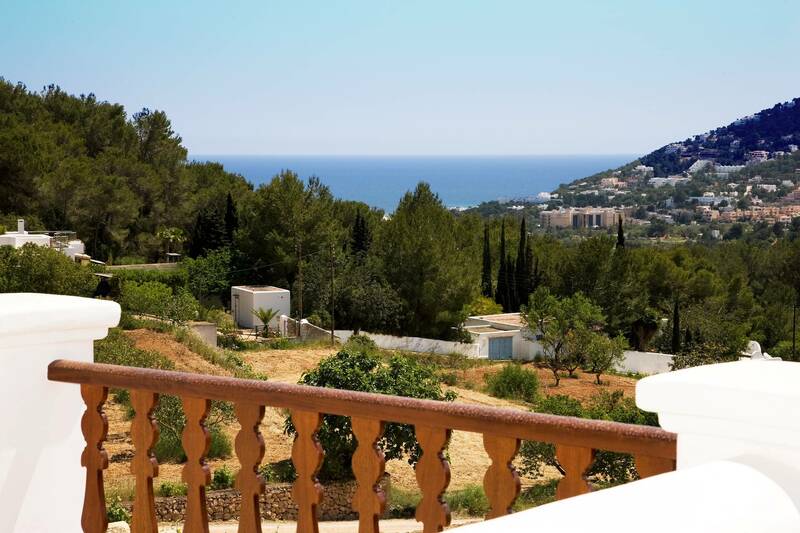 Enjoy the peace, the nature and the fantastic view - enjoy Can Maderus! 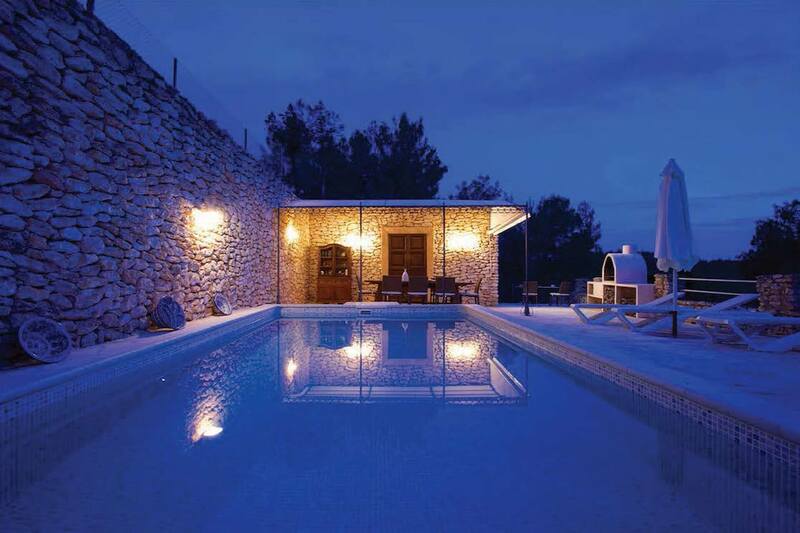 The Villa Can Maderus is located near the coastal town of Sta. Eularia des Riu on one of the surrounding hills. A narrow unpaved access road leads up to the property; therefore you do not have any traffic noise there. 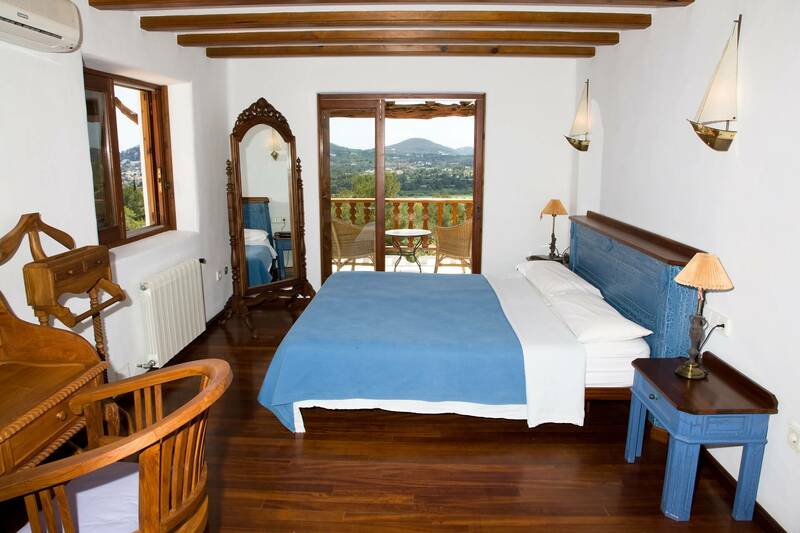 The location is perfect for a relaxing and peaceful holiday without missing the proximity of a city. The coastal town Sta. Eularia des Riu connects traditional charme and modern age. There you will find everything you are looking for: fantastic restaurants, numerous shopping facilities, a beautiful promenade („Paseo Maritim“) along the sandy beach of about 300 meters which offers a wide range of water sports and not to forget the magnificent marina with numerous bars and restaurants. Those who like, can also go by boat to Formentera, Ibiza town or one of the neighbour bays. Sta. 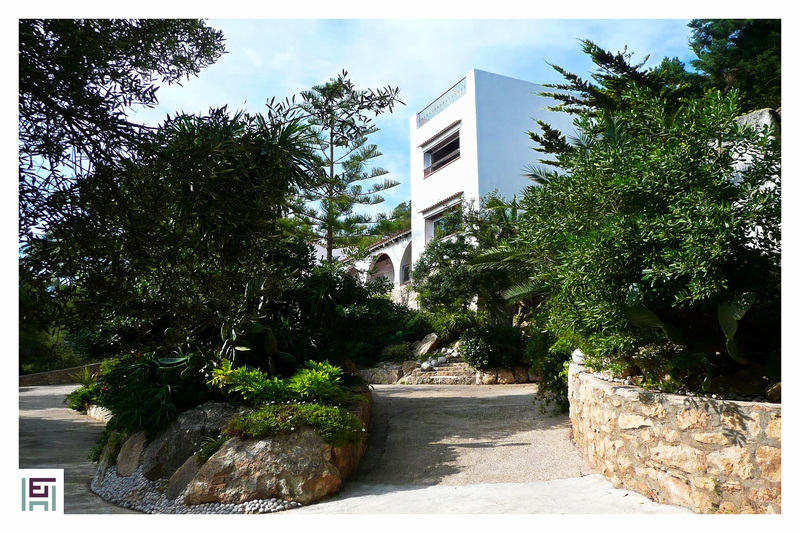 Eularia des Riu is a place that brings together residents and tourists. The „Rambla S’Alamera“ with its shady trees and the market stalls offers a relaxed atmosphere. In the surrounding of Sta. Eularia des Riu you may also visit one of the lovely small villages like San Carlos or Sta. Gertrudis. Or you go on an excursion to one of the numerous fantastic bathing bays and enjoy a lunch or a dinner in one of the excellent restaurants located there. 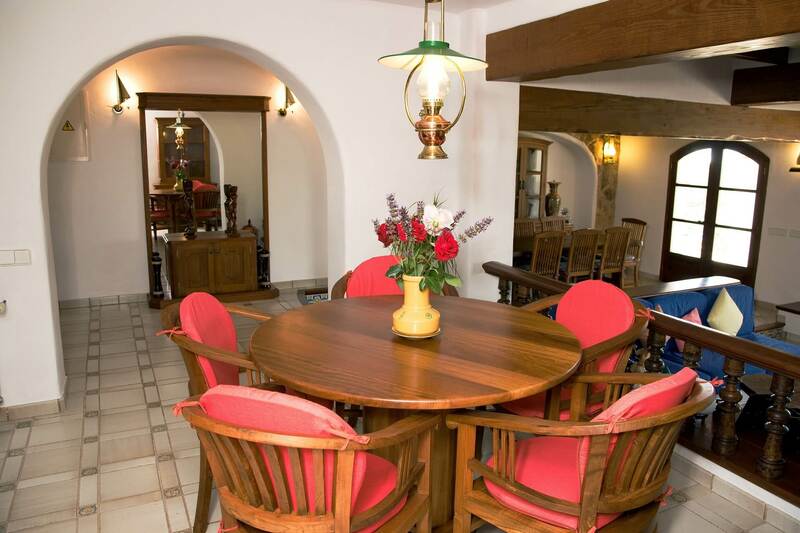 Each of the four bedrooms is equipped with coat stand, air conditioning, heating and internet. 1 bedroom with two single beds (110 x 200 cm) and a separate bathroom with shower, toilet and bidet. 1 bedroom with two single beds (110 x 200 cm). Bathroom en suite with shower and garden view. 1 bedroom (master suite) with king-size bed (180 x 200 cm) large wardrobe, secretary, LCD TV and access to the large roof terrace via a sliding door. 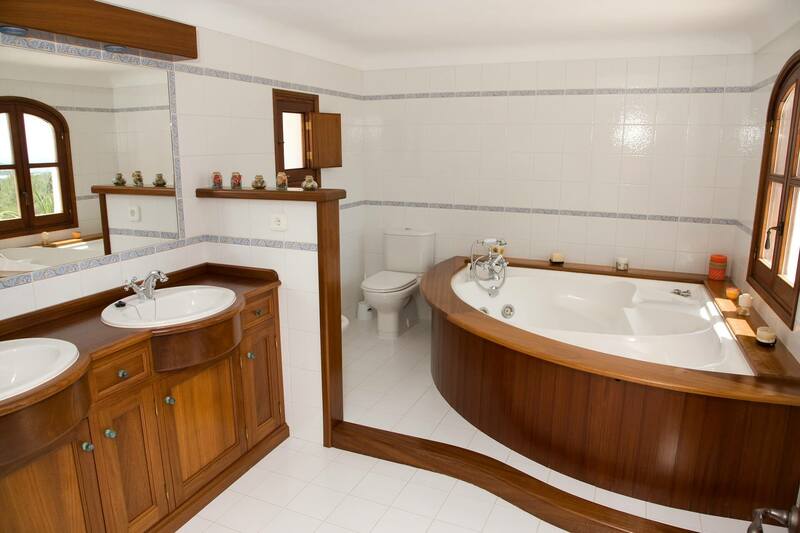 En suite bathroom with large bathtub / whirlpool and panoramic view, double sink, toilet and bidet. 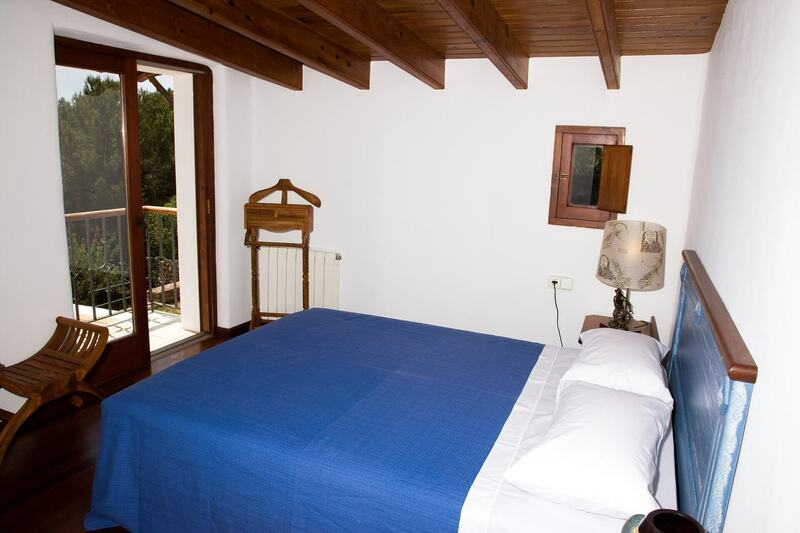 1 bedroom with a French bed (150 x 200 cm), large wardrobe, LCD TV and exit to a small balcony. En suite bathroom with shower and toilet. Do you need baby cots or highchairs? If required, up to 2 baby cots and highchairs are available free of charge. Towels are changed weekly, usually on Tuesdays or Thursdays. For stays of more than seven nights, bed linen is changed once a week. 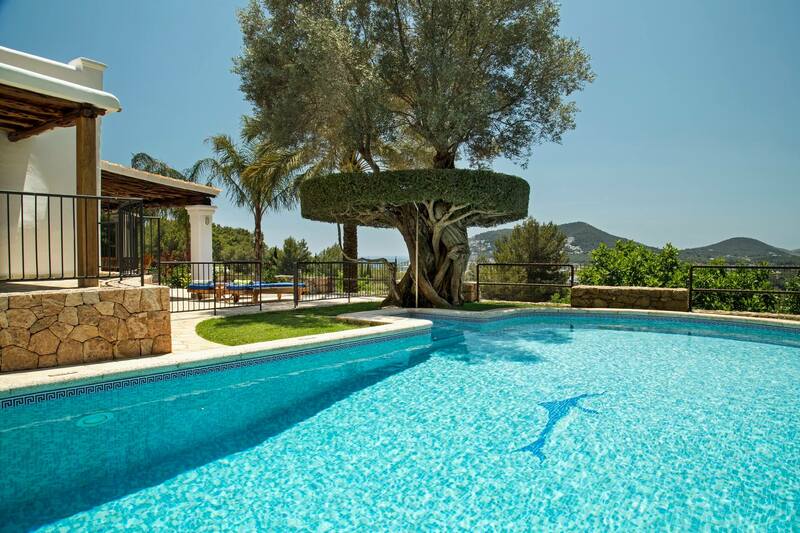 The care and maintenance of the outdoor area and the swimming pool is done regularly. If you also need a cleaning and laundry service, this is possible for a surcharge. 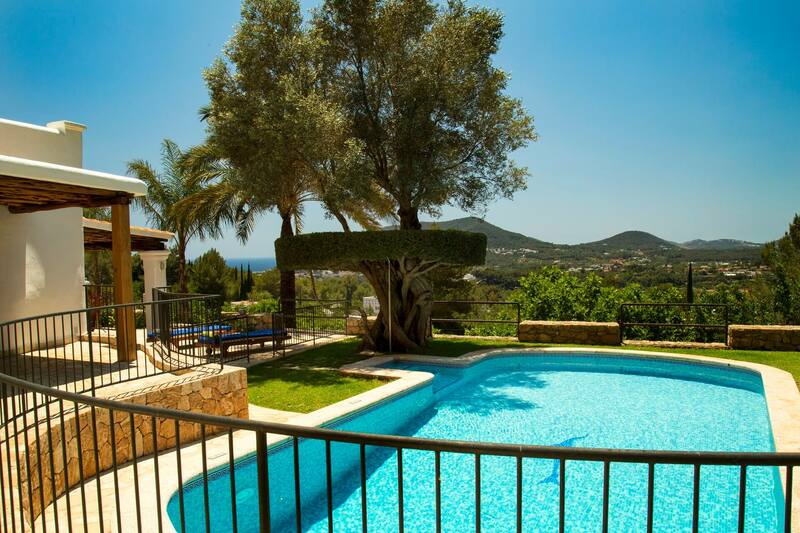 Extensive gardens with fenced swimming pool (maximum depth 160 cm) with separate pool chairs and private lawn. 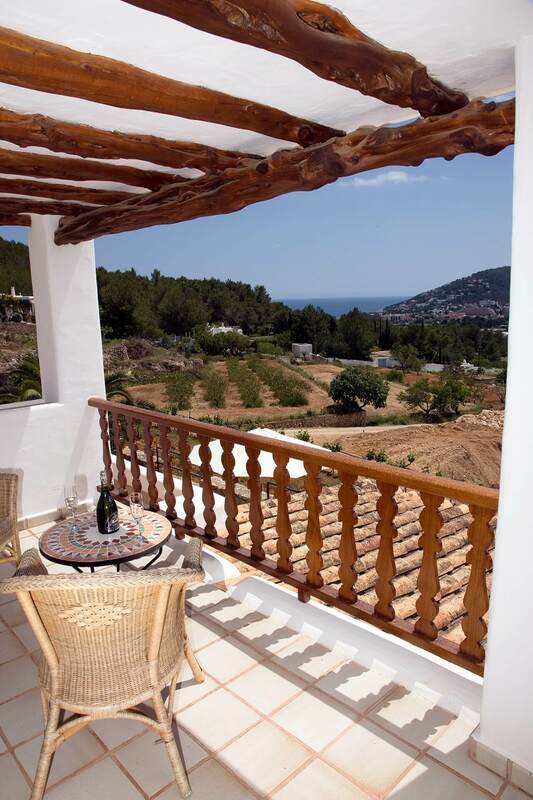 Terraces with stunning panoramic views. Luxurious wooden sunbeds and umbrellas. Covered patio area with chill-out furniture and dining table and chairs. Ample parking for guests and visitors. 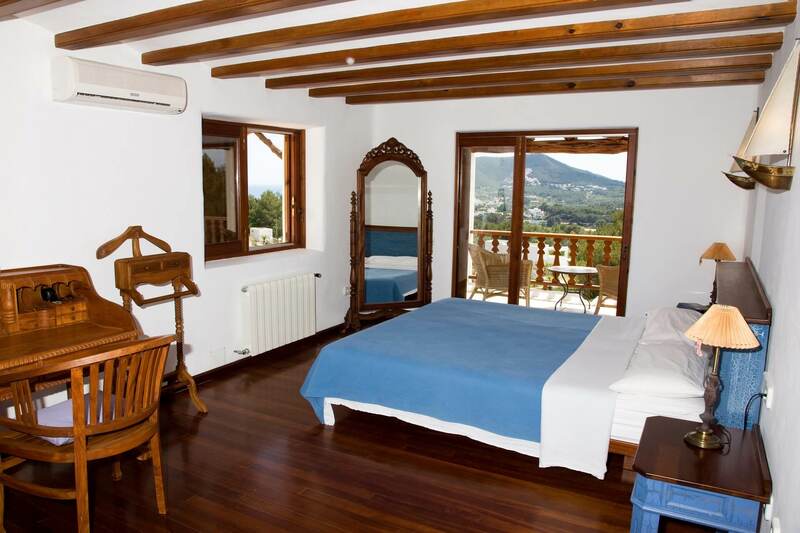 The daily-/weekly rates are calculated for a minimum stay of 7 nights. Stays of 6 nights or less on request. Saturday - Saturday | different arrival and departure days only after prior request and agreement. Parties or events are not allowed unless previously authorized, agreed and/or arranged by the owner or the management. 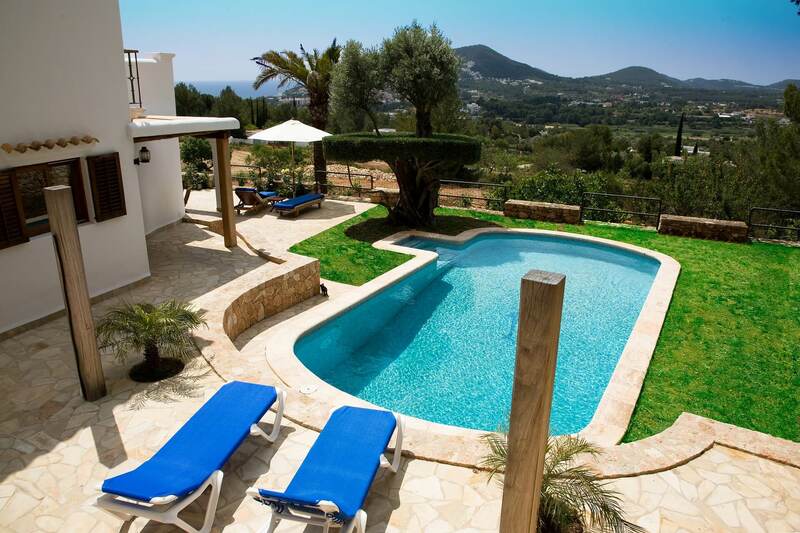 Bringing pets is only allowed upon prior request and approval of the owner of the villa. If necessary, please contact us in time. Are you a larger group or are you planning a wedding party? Then it is possible to distribute your family and guests on two villas located on the estate - Villa Can Maderus and Villa Can Torres. 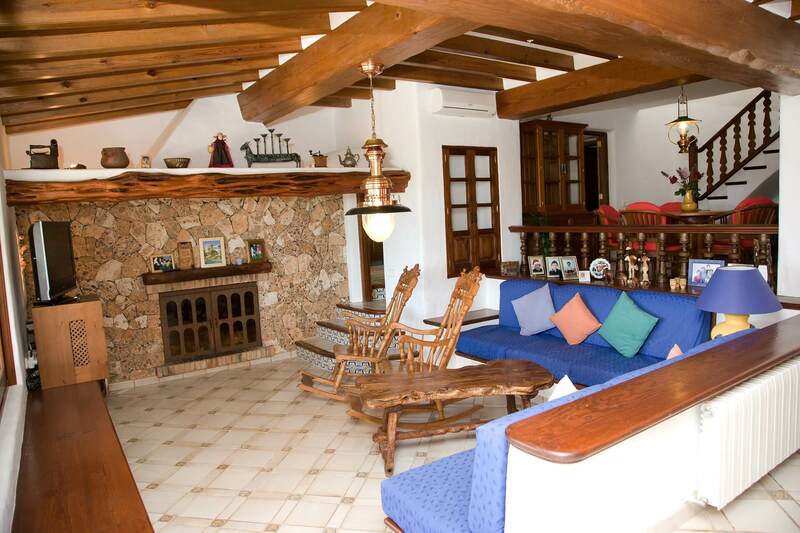 So you as well as your guests or fellow travellers not only enjoy this fantastic location, but also keep your privacy. Advance payment: A reservation will be confirmed if 50% of the total amount of the reservation is paid in advance by bank transfer. The remainder of the payment (50%) can be made on the day of arrival (check-in) in cash or in advance, but no later than 7 days before the arrival date, by bank transfer. Deposit: The deposit is 1.000 Euros and must be paid on the day of arrival (check-in) by credit card (Visa or Mastercard). The deposit will be refunded at the end of the stay. Cancellation policy: In case of cancellation, we do not refund the deposit. For a check-out before the actual departure date, the total amount paid is non-refundable. ECOTASA: The tourist tax ECOTASA is not included in the rental price and is to be paid on arrival.